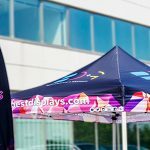 In offering clients across the marketplace trade show display services, our team at Best Displays & Graphics has designed and created some of the industry’s most memorable displays. Each display we build is customized to help clients meet their marketing objectives. 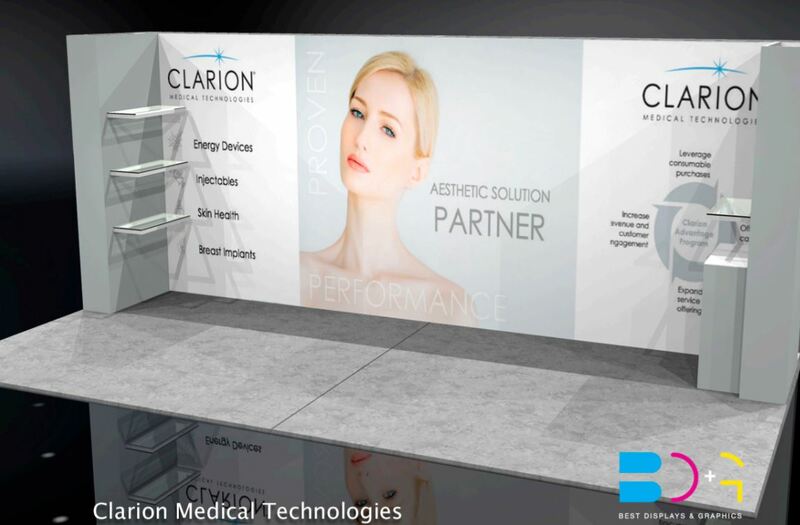 We’d like to share with you the story of our recent trade show display work with Clarion Medical Technologies below. 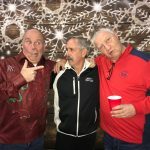 Why Best Displays & Graphics? 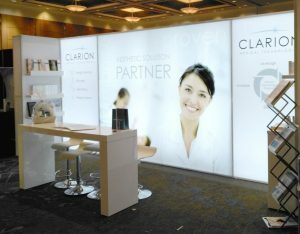 Through past work with Best Displays & Graphics, the team at Clarion Medical Technologies was confident with our pinpoint attention to detail and quick response time. 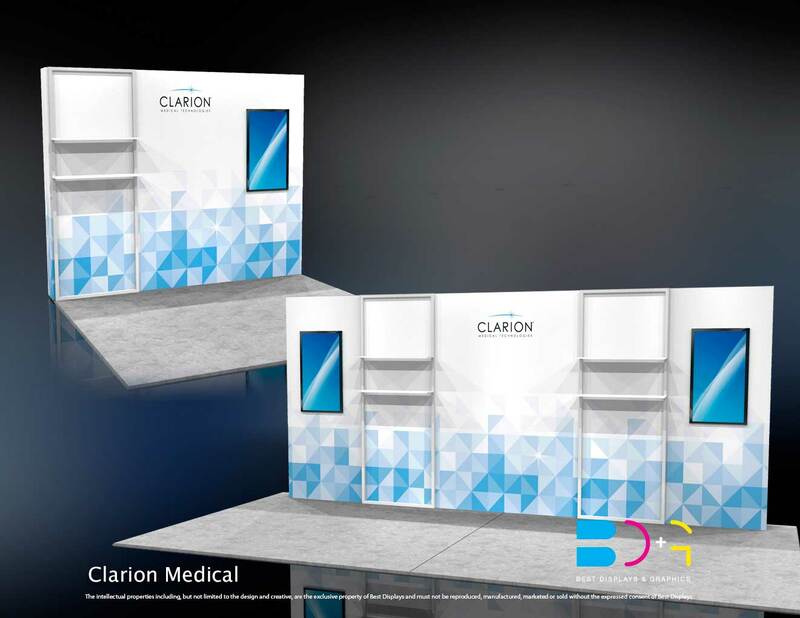 Combined with our company’s openness to ideas and project management, the Clarion Medical Technologies team was convinced that BDG was the best partner for their marketing display needs. 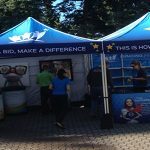 The project involved creating a trade show display for the company’s marketing campaigns at aesthetic and medical tradeshows across Canada. These types of venues are where the company’s team meets with various clients to discuss Clarion’s products and services, as well as showcase products via live demonstrations. 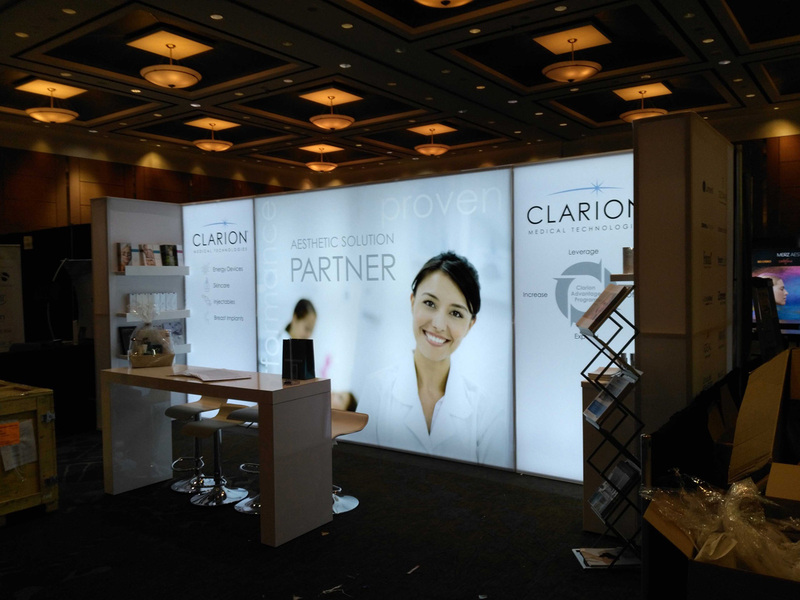 Clarion Medical Technologies required a completely new booth concept, with the goal of forming new branding strategies and an updated configuration for their old system. The booth would be updated with a clean looking aesthetic in order to professionally represent the brand and their partners throughout the industry. 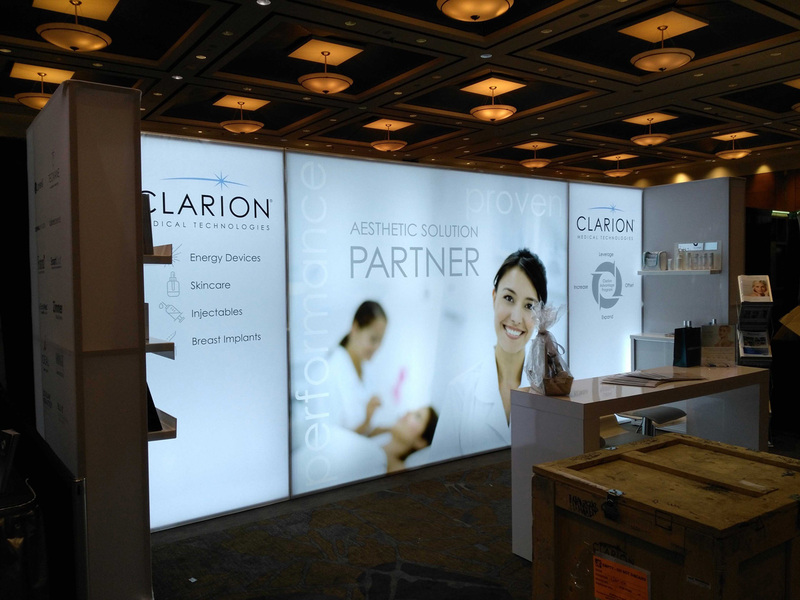 Our team at Best Displays & Graphics worked with Clarion Medical Technologies on various elements of booth design. From providing feedback on their graphics to delivering specs and renderings for the graphic design team. 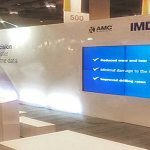 Best Displays & Graphics worked to form a simplified configuration for the company’s booth, ensuring each element was intuitive and designed for streamlined performance. The BDG team also added backlighting throughout the display and integrated sidewalls with custom shelving and a custom counter. The entire project showcased the ease with which Best Displays & Graphics’ equipment can be updated for new and upcoming marketing campaigns. 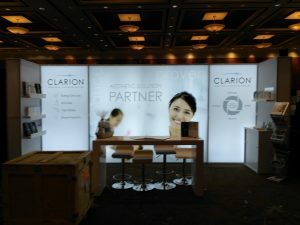 On the event day, we also provided installation and dismantling services for Clarion Medical Technologies, enabling their team to focus solely on the event and their marketing objectives. 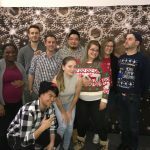 Our team at Best Displays & Graphics thrives on learning about our clients’ marketing goals and harnessing our experience to build memorable and engaging displays. To learn more about our company and our full range of services, please call today for a consultation.